Now, we know that when it comes to sheer horsepower, the Nvidia RTX 2080 Ti is going to absolutely dominate, but that’s not the only factor – regardless of what some people may have you believe. Price, performance and target resolution are all key factors, along with the kinds of games you play. So, let’s dive into the nitty-gritty. One of the most notable things about the Nvidia Turing line of graphics cards is just how expensive they are over the previous generation. If you’re on the market for an upgrade, you’re looking at dropping at least $499 (about £380, AU$700) on the RTX 2070 – which is much weaker than either of the cards we’re paying attention to today. If you want all the possible performance with zero compromises, you’ll have to drop at least $1,199 (£1,099, AU$1,899) for the RTX 2080 Ti. This is a huge jump over the previous generations GTX 1080 Ti, which launched at $699 (£699, AU$1,129). 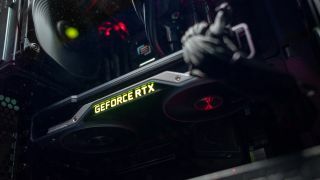 If that’s too rich for your blood – and, really, we can’t blame you – you might find the Nvidia GeForce RTX 2080 more palatable, which starts at $799 (£749, AU$1,299). This is still an expensive card, but, hey, it’s under a grand and that’s something. Unfortunately, neither of these cards are very budget-friendly, so it’s just a matter of how much you’re willing to fork over for the best graphics card.